Tara is female Bodhisattva in Mahayana Buddhism. 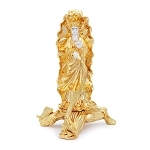 Displaying Bejeweled Fertility Red Tara at your living room can increase your wealthy luck. 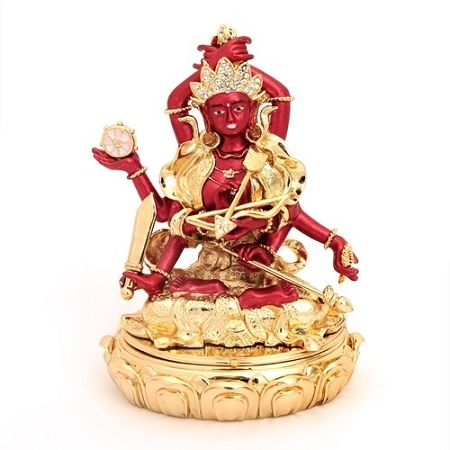 The Bejeweled Red Tara is carrying one Dharma Wheel and weapon to protect from losing of your wealth. The dimension of it is approx. 3 1/2" x 2 1/4" x 4". It is Bejeweled Item made of copper and embedded with some crystals.